karla came to me after having a few lessons with another instructor, and after a few lessons to finish her training passed her test on the 4th of February 2015. Well done Karla Keep driving safely. 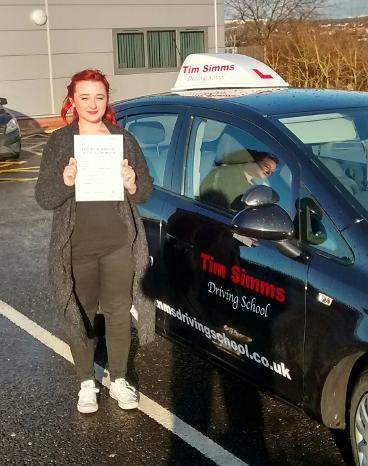 Steph came to me having had lessons with other driving instructors, and after a few lessons to complete her training she passed her practical test on the 22nd of January 2015. 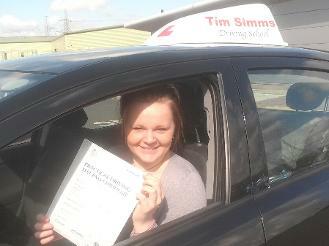 Well done Steph, keep driving safely. 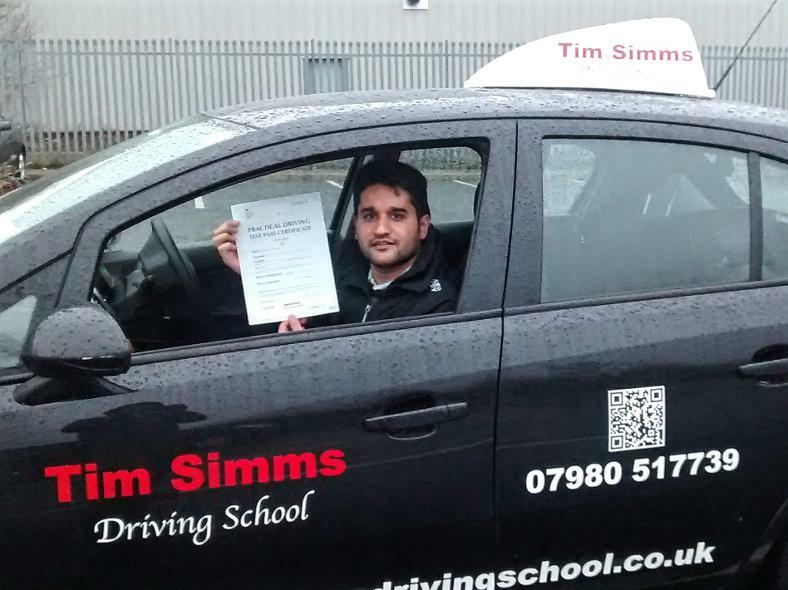 Usman came to me with a little driving experience in April 2014 and after a number of breaks from driving passed his practical driving test on the 9th of January 2015 despite the weather being so awful. Well done Usman hope all goes well with the new job. 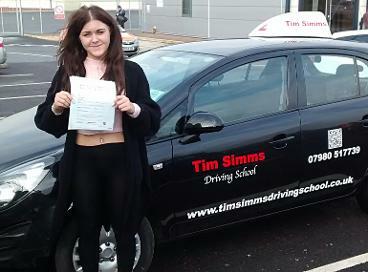 Jordan came to me in July 2014, and after just 35 hours training passed her test 1st time on the 8th of January 2015. 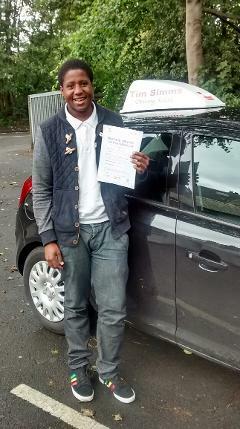 Well done Jordan, keep driving safely. 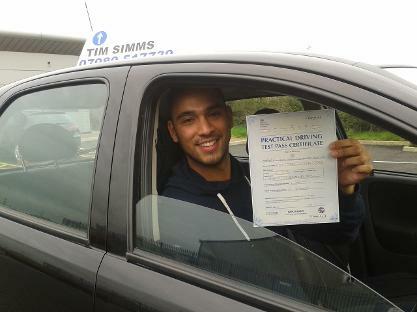 Daya came to me in june 2014 and after less than 40 hours of training and despite a number of breaks passed his practical driving test on the 5th of January 2015. Well done Daya and hope all goes well with the new job. 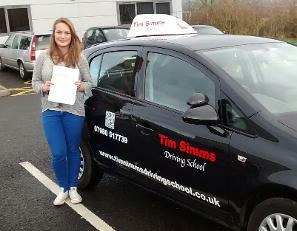 Abbie came to me in November 2013 as a new driver and after a few weekly lessons passed her practical driving test on the 28th of November 2014. 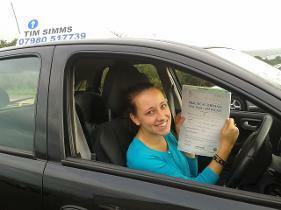 Well done Abbie for a well deserved pass. 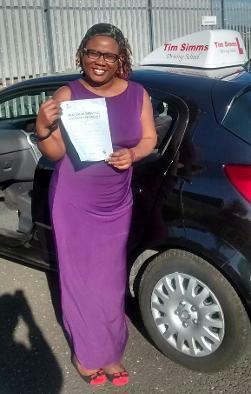 Joyce came to me partly trained and after a break from driving and after working hard, passed her practical driving test on the 24th of October 2014. Well done Joyce. 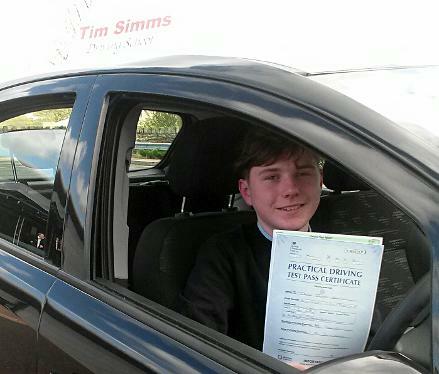 a well deserved pass with only 2 minors. 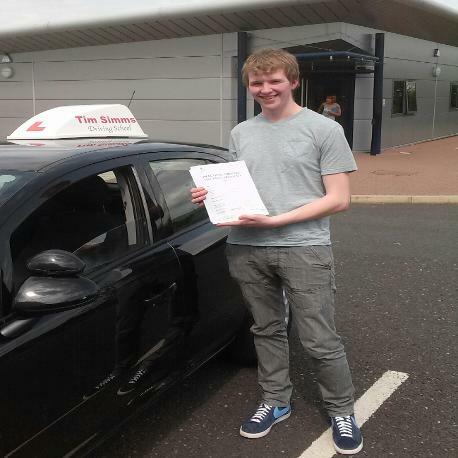 Vincent came to me for driving lessons earlier this year having had lessons from another instructor and after working hard on his driving passed his practical driving test on the 29th of August 2014. 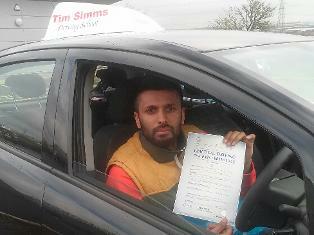 Well done Vince keep driving safely. 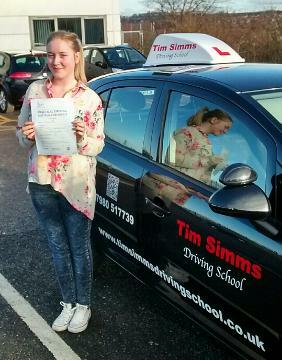 Faye came to me at the end of April 2014 having taken lessons before, and after a few lessons to boost confidence, passed her practical driving test on the 6th of August 2014. 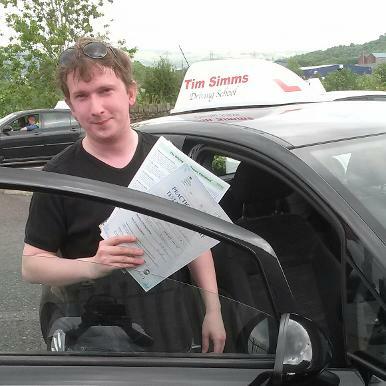 Sam came to me last September as a new driver and after a few driving lessons passed his practical driving test on the 19th of June 2014. 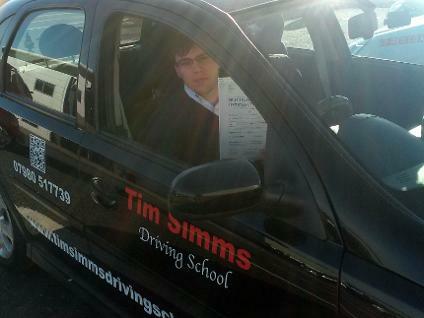 Well done Sam keep driving safely. 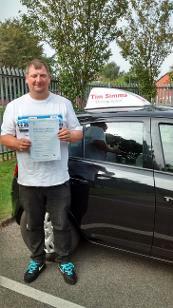 Martyn came to me partly trained and after a few lessons passed his test on the 18th of June 2014. 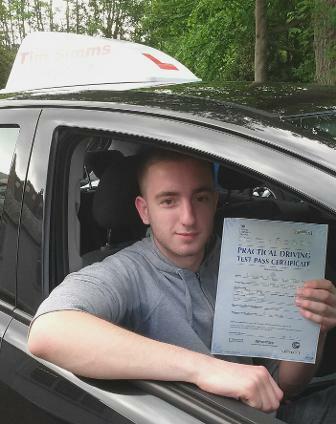 Well done Martyn hope you get your car on the road soon. 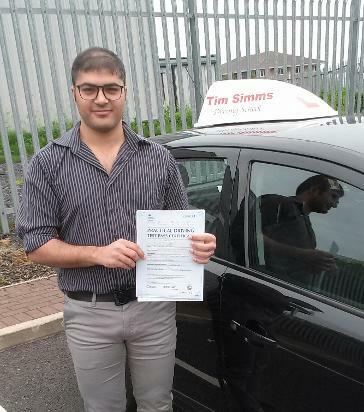 Arish Came to me for driving lessons in blackburn after being recommended by a friend, and having had quite a bit of driving experience and a few refresher driving lessons from Tim Simms Driving School, passed his practical test first time on the 4th of June 2014. Well done Arish and hope all goes well with the car hunting. 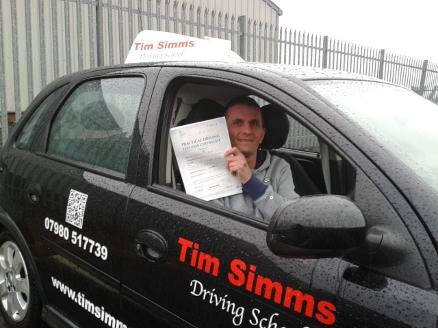 Shaun came to me in May 2014 having had previous driving experience and after a just a few refresher lessons passed his practical driving test on the 3rd of June 2014. 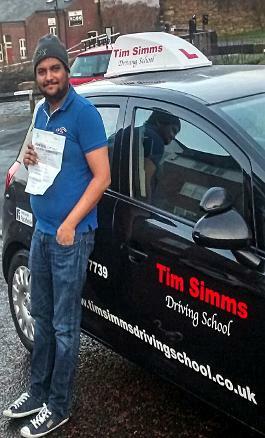 Well done Shaun enjoy the freedom of your new car. 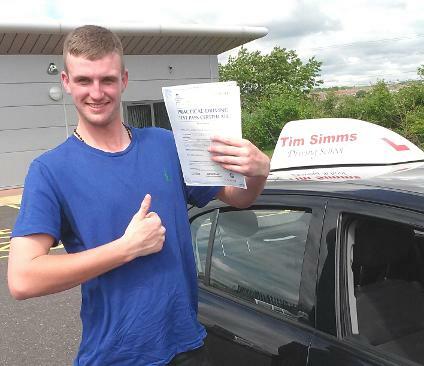 Lewis came to me last year after his previous instructor retired and after a few lessons over a few months passed his practical driving test on the 2nd of June 2014. 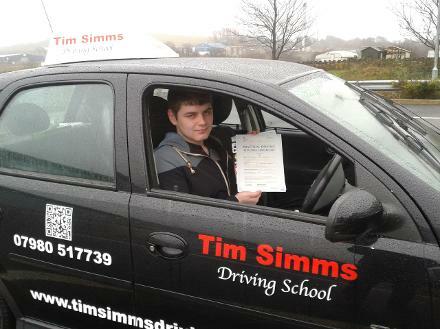 Well done lewis, keep driving safely. 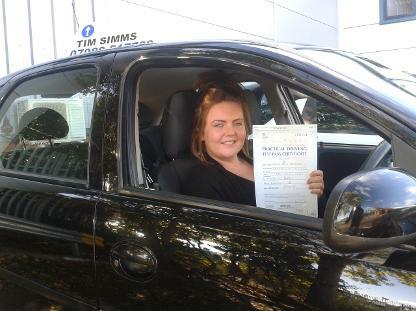 Becky started her driving lessons in May 2013 as a new driver and after a few breaks passed her test first time on the 2nd of April 2014. 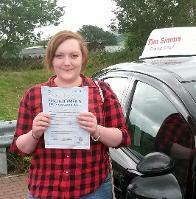 Well done Becky Keep driving safely. 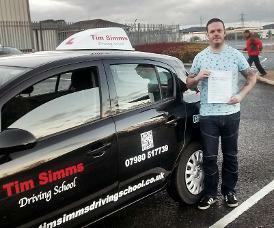 Steve started lessons with me in January 2013 as a new driver and after less than 30 hours of training, passed his test on the 16th December 2013 with only 2 minor faults. Well done Steve! Keep driving safely. Hope the car hunting goes well. Sam came to me on a recommendation from a friend who was having lessons with me in March 2013 and after just 34 hours of training passed his test on the 16th of December 2013. 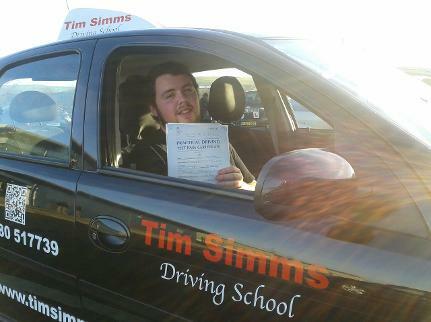 Sam says "I would recommend Tim because he helped me to pick up what I needed to learn quickly making clear progress". Charley came to me in October partly trained and after a few lessons and passed on the 4th of November 2013. Well done Charley on a great drive. Charley says on Facebook "Thank you soooo much!" Richard came to me partly trained and after a few lessons passed first time on the 18th October 2013. Well done Richard! Megan came to me in December 2012 partly trained by her dad, and after a few breaks she passed second time on the 7th of October 2013. Well done Megan on a great drive.